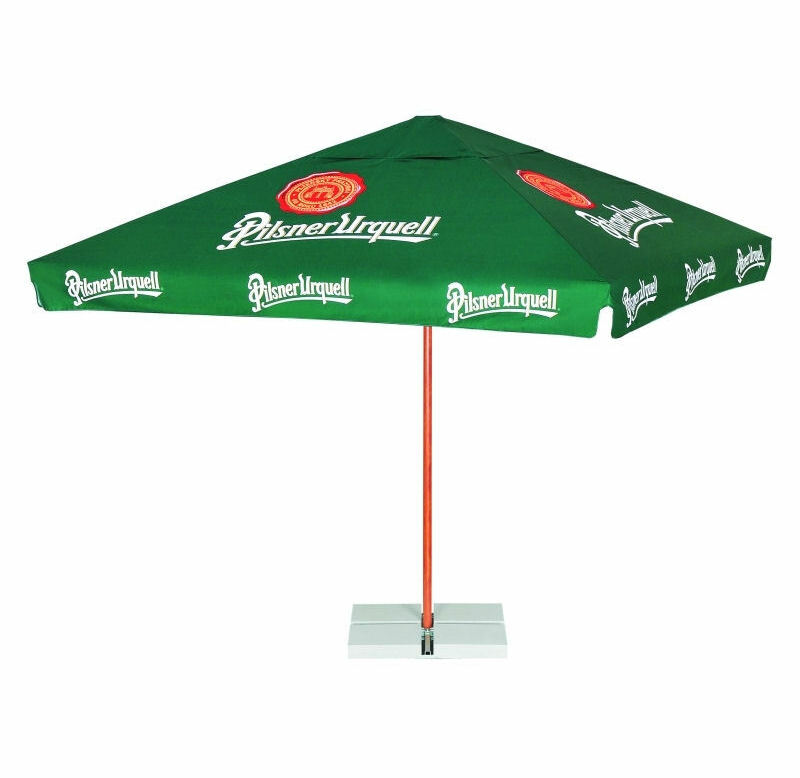 What Fabrics are Available for Branded Parasols and Printed umbrellas? 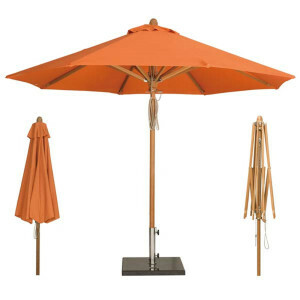 What Fabrics are Available for Branded Parasols? Here at Brollies & Parasols our standard Branded parasol canopies come in polyester. Polyester makes an ideal fabric for parasols as it has superior strength, the fibres don’t wear quickly and whilst being flexible it is more resistant to creases. It also dries very fast. It is also fade resistant and stain resistant crease and offers UV radiation, water and dust resistance. Typically printed parasol canopies are around 180gsm. Here at Brollies & Parasols we tend to go for 220gsm which offers great strength and a nice thickness to exude quality. However, you have scope to go up to 280gsm for a more luxe feel. As it is thicker you do have increased protection from UV and rain but this is just a marginal difference. There are options to upgrade to an acrylic / Teflon combination which offers exceptional waterproofing and is stronger but is weightier. Also to be aware it does increase the cost substantially as this is an expensive choice. Other options include polycotton, a blend of 65% cotton and 35% polyester to provide the maximum advantages of both fibres in one fabric. It has a lovely feel to it as it contains natural cotton fibres but it tends to be used for smaller parasol canopies. The dyes and printing that we use on our canopies are all fade resistant so you can trust that your brand will stay strong and bright. Also don’t forget that the majority of our branded parasols can come with a valance for no extra charge.